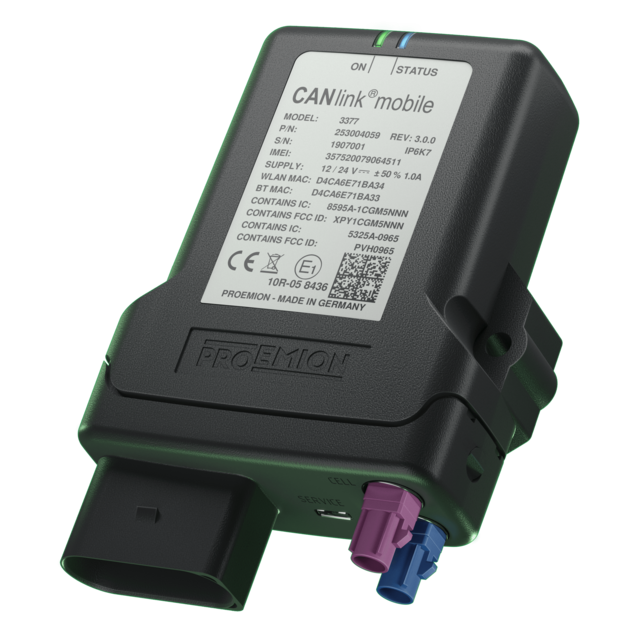 The new CANlink® mobile 3000 has it all: full mobile data connectivity via GSM, a built-in Wi-Fi and Bluetooth transmitter and a global tracking GNSS interface. The devices’s bidirectional data transfer allows for real-time remote access to your machines – and a wide range of application opportunities like cost-effective remote firmware updates. CANlink® mobile 3000 was engineered to withstand extreme weather and working conditions. The robust composite casing meets the IP6k7 standard and thus the tough demands of all heavy duty off-highway applications – in arctic or tropical temperatures. Have you unlocked your machine's full potential, yet? 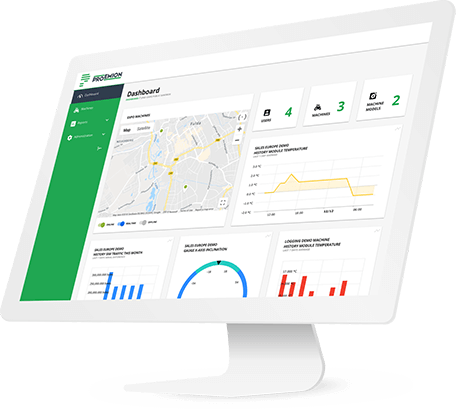 Learn how to implement an end-to-end telematics solution now. Plug-and-play is a key principle for the CANlink mobile® 3000: the device comes all pre-configured and ready to go – with a direct status feedback via LEDs. Data is valuable. That’s why the CANlink® 3000 was given a built-in focus on security: the TPM-safety Chip. All communication is encrypted with TLS 1.2, protecting your data from unauthorized access and corruption. All safety measures, like the Firmware authentication were audited and verified by independent security experts. int. ext. int. ext. int. ext. ext. We are here to help you answer any further questions.